This Viator Exclusive can't be booked anywhere else, so don't miss out! 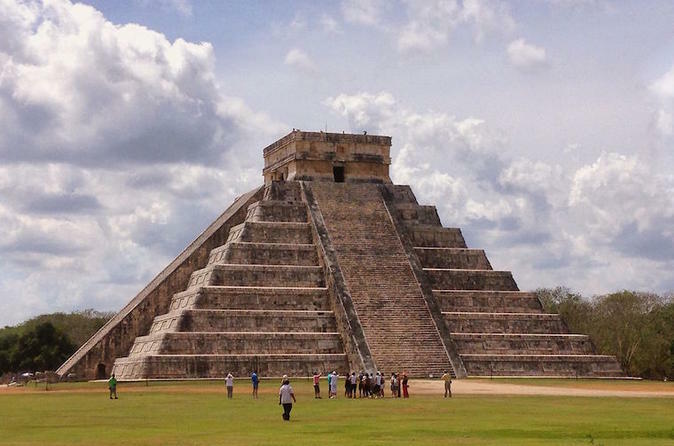 This Viator exclusive tour allows you to visit Chichen Itza before the hordes of tourists pour in. Rise early and depart from your Playa del Carmen hotel in a comfortable and air-conditioned minivan. Arrive at the colossal Chichen Itza, the ancient capital of the Mayan empire, and follow your guide as you begin your archeological adventure through the atmospheric ruins. Wander through the perfectly preserved ruins in relative solitude, listening to the insightful background information provided by your expert guide. Learn of Chichen Itza’s pivotal role in Mayan society, and why it is still considered a scared place of worship today. Discover the intricate processes undergone to unearth and excavate the magnificent monuments of the site, learning about how archeological discoveries provided Chichen Itza with UNESCO World Heritage status. In the context of history, philosophy and cosmology, the symmetrical staircases and intricate carvings of the ruins will suddenly become clear. 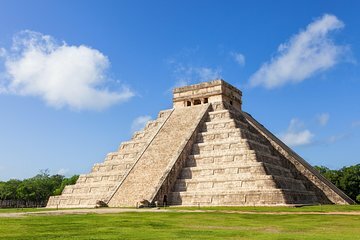 Gaze upwards at the legendary Kulkulcan Pyramid, or El Castillo, a sight you’re sure to recognize as one of Mexico’s most famous. Gain insight into the astronomical knowledge that influenced the construction of the temple. Venture to the sacred cenote, passing lush jungle and awakening your senses to the call of exotic birds and the eerie resonance of jaguar whistles. Peer down at the natural sinkhole, listening as your guide explains that the pool was used as a sacrificial site in the past. Archeologists recently unearthed human skeletons and jewelry to confirm the gruesome purpose of this natural wonder. Conclude your tour by visiting the enigmatic ball court, whose acoustics continue to mystify scientific experts. Stand 150 feet (46 meters) from someone on the opposite side of the ball court and hear their whispers loud and clear. After your enlightening experience, start your journey back to Playa del Carmen. Conclude your early access tour way before the day is out so you can spend the afternoon relaxing on the blissful beach. We had to get up very early for this one but it was so worth it. Frank our guide was of Mayan decent and so knowledgeable about the culture as well as the site. We came home with a new appreciation for the Mayans and Chitchen Itza. Great day at Chichen Itza, early start totally worth it as you can escape the heat and the crowd of people. Fredy our guide from Amigo Tours was great! I have wanted to visit Chichén Itzá since I was a kid. This tour was everything I was hoping for and more! Our guide was very knowledgeable about the history and culture of the area. Pro Tip: DEFINITELY go for the early entry, it is well worth it to get up early and into the site before the crowds/heat set in! It was great. There was a lot of walking but it was a beautiful day. We started very very early in the morning, so we beat the crowd. The lunch wasn't the greatest due to food restrictions otherwise it was fine.  I booked a trip through Viator that ended up with Amigo Tours. We went from Playa del Carmen to Chichen Itza. We were told to meet at a hotel about a mile from where we are staying, though they asked for our hotel info when we signed up. Kind of surprising since we had to walk that far at 5 in the morning to get to the other hotel. We were picked up by a van that needed shocks three years ago and never got them. We toughed it out in that van with a driver who checked his cell phone the whole way, a little unnerving since it was pitch dark outside. When he finally came to a stop 90 minutes later, we were told we were switching to a bus. Great! Until we got in the bus and discovered leg room that was not fit for a five year old. After being squashed for another hour (with a brief stop for a terrible lunch (at 7 in the morning) in a touristy shop full of local "treasures", we finally made it to Chichen Itza. The grounds are fascinating and the architecture truly wonderful. We loved the actual tour, and our guide was reasonably entertaining, though he only showed us about half the buildings. The ride home was not described in the brochure this way. We took our cramped bus (and I'm talking cramped!) to the rendezvous point, then took the shaky van through Tulum - out of the way - and made several stops to drop off passengers along the way. You're better off renting a car and making the drive yourself. It will take way less time and you can get a guide at the ruins. I was going to write this review strictly for Viator, but then decided to publish it when I could find no way to contact them directly. This was our favorite tour on this trip! Marco was our guide and he was phenomenal. He was very knowledgeable and we could tell he was passionate about his work. The early access was worth it and I would recommend this tour to anyone. To Chichen Itza. This tour is great for individuals who like an early start to an activity/tour 6 AM. The tour is also for those who want only a one of, one event or place to go to with an expert guide/professional Marco, Amigo Tours in the field of Mexican archeology and history. So here is what you get best price compared to many other tours, early start to your day, totally knowledgeable professional commentary and discussion, great humour, first class transportation, first into the site, exit when all other tours are arriving in 9 AM out by 12:45, back to PDC by 4:30 PM, two potty breaks along the way, lunch stop to pick up bag lunch on the way back very basic sandwich, fruit , juice. This was our third tour to Chichen Itza our adult grand kids had not been, also the best of the three tours thanks to Marco. This was a five star tour, early start, first class transportation, excellent commentary and discussion, early return, total satisfaction. Great day out - early access was great and made the early departure from the resort well worth it. Frank our guide was great and made the tour very interesting and filled with the history of the mayans along with the coach driver Rafa made this a perfect day. This is one of 5he best value tours I have been on during all my travels and even included a packed lunch on the coach back to our resort.